New build homes are great in l lot of aspects. They comply with the most up to date rules and regulations when building a home, they are more economical with better standards of insulation lowering heating costs and they come with less maintenance needed with things plumbing, electrics painting etc. already being taken care of. However, one of the down sides to a brand new property is the amount of expense spared in order to save money helping the company turn a profit, with one of the main money saving elements being the staircases. 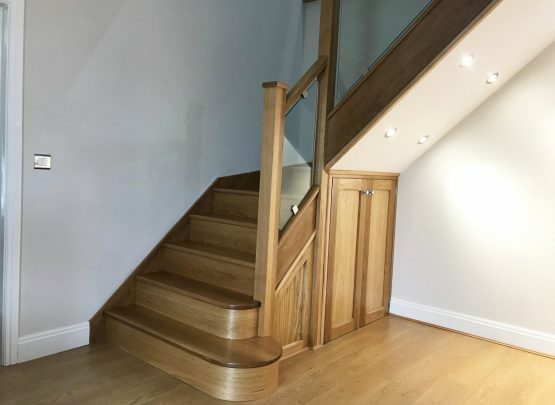 Of course, when building a new property, the goal from the construction companies point of view is to make a profit, which is why they don’t put oak staircases in standard, new build houses. However, when purchasing a new build house, you still expect a certain level of quality, which seems to be lacking. 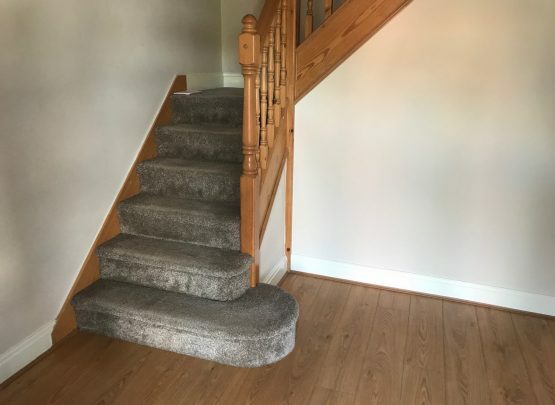 A standard flight of stairs used in a new build house constitutes of MDF treads and risers, these can have many lasting effects. 1) MDF is known to be one of the biggest causes of a staircase squeak when it rubs up against another piece of MDF 2) MDF will absorb moisture, this means that if for any reason a large quantity of water where to be spilled on he stairs, the tread may warp and move out of position. A more reliable construction would be a Pine tread, which offers more protection against water, doesn’t squeak. This is of the things that could help to improve one of the biggest let downs in new build properties. For a luxury new build properties, the same failures are still paramount, with standard cheap flights of stairs being used, lowering the aesthetic of the home and setting a bad impression as they walk in the house. Going for something that doesn’t look like it was purchased for as cheap as possible just makes the hallway of the house look so much better, which is important when looking for a good first impression from first time buyers.